For other uses, see Archive (disambiguation). For the Wikipedia coordination point on archived pages, see Wikipedia:Historical archive. For details on how to archive a talk page, see Help:Archiving a talk page. "Digital archive" redirects here. It is not to be confused with Digital library. For other uses, see Digital archiving. A person who works in archives is called an archivist. The study and practice of organizing, preserving, and providing access to information and materials in archives is called archival science. The physical place of storage can be referred to as an archive (more usual in the United Kingdom), an archives (more usual in the United States), or a repository. When referring to historical records or the places they are kept, the plural form archives is chiefly used. The computing use of the term 'archive' should not be confused with the record-keeping meaning of the term. First attested in English in early 17th century, the word archive /ˈɑːrkaɪv/ is derived from the French archives (plural), in turn from Latin archīum or archīvum, which is the romanized form of the Greek ἀρχεῖον (archeion), "public records, town-hall, residence, or office of chief magistrates", itself from ἀρχή (arkhē), amongst others "magistracy, office, government" (compare an-archy, mon-archy), which comes from the verb ἄρχω (arkhō), "to begin, rule, govern". The word originally developed from the Greek ἀρχεῖον (arkheion), which refers to the home or dwelling of the Archon, in which important official state documents were filed and interpreted under the authority of the Archon. The adjective formed from archive is archival. 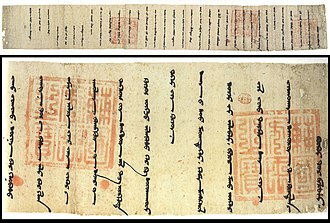 The practice of keeping official documents is very old. Archaeologists have discovered archives of hundreds (and sometime thousands) of clay tablets going back to the third and second millennia BC in sites like Ebla, Mari, Amarna, Hattusas, Ugarit, and Pylos. These discoveries have been fundamental to know ancient alphabets, languages, literature, and politics. Archives were well developed by the ancient Chinese, the ancient Greeks, and ancient Romans (who called them Tabularia). However, they have been lost, since documents written on materials like papyrus and paper deteriorated at a faster pace, unlike their stone tablet counterparts. Archives of churches, kingdoms, and cities from the Middle Ages survive and have often kept their official status uninterruptedly until now. They are the basic tool for historical research on these ages. England after 1066 developed archives and archival research methods. The Swiss developed archival systems after 1450. 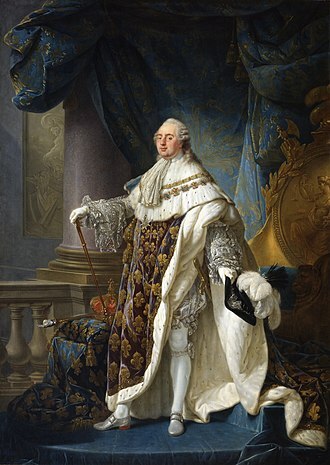 Modern archival thinking has many roots from the French Revolution. 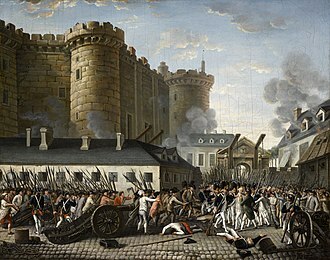 The French National Archives, who possess perhaps the largest archival collection in the world, with records going as far back as 625 A.D., were created in 1790 during the French Revolution from various government, religious, and private archives seized by the revolutionaries. Historians, genealogists, lawyers, demographers, filmmakers, and others conduct research at archives. The research process at each archive is unique, and depends upon the institution that houses the archive. While there are many kinds of archives, the most recent census of archivists in the United States identifies five major types: academic, business (for profit), government, non-profit, and other. There are also four main areas of inquiry involved with archives: material technologies, organizing principles, geographic locations, and tangled embodiments of humans and non-humans. These areas help to further categorize what kind of archive is being created. Archives in colleges, universities, and other educational facilities are typically housed within a library, and duties may be carried out by an archivist. [page needed] Academic archives exist to preserve institutional history and serve the academic community. An academic archive may contain materials such as the institution's administrative records, personal and professional papers of former professors and presidents, memorabilia related to school organizations and activities, and items the academic library wishes to remain in a closed-stack setting, such as rare books or thesis copies. Access to the collections in these archives is usually by prior appointment only; some have posted hours for making inquiries. Users of academic archives can be undergraduates, graduate students, faculty and staff, scholarly researchers, and the general public. Many academic archives work closely with alumni relations departments or other campus institutions to help raise funds for their library or school. Qualifications for employment may vary. Entry-level positions usually require an undergraduate diploma, but typically archivists hold graduate degrees in history or library science (preferably certified by a body such as the American Library Association). Subject-area specialization becomes more common in higher ranking positions. Archives located in for-profit institutions are usually those owned by a private business. Examples of prominent business archives in the United States include Coca-Cola (which also owns the separate museum World of Coca-Cola), Procter and Gamble, Motorola Heritage Services and Archives, and Levi Strauss & Co. These corporate archives maintain historic documents and items related to the history and administration of their companies. Business archives serve the purpose of helping their corporations maintain control over their brand by retaining memories of the company's past. Especially in business archives, records management is separate from the historic aspect of archives. Workers in these types of archives may have any combination of training and degrees, from either a history or library background. These archives are typically not open to the public and only used by workers of the owner company, though some allow approved visitors by appointment. Business archives are concerned with maintaining the integrity of their company, and are therefore selective of how their materials may be used. 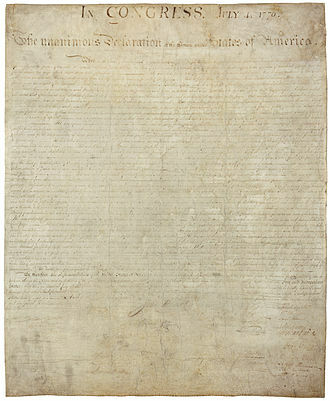 Government archives include those maintained by local and state government as well as those maintained by the national (or federal) government. Anyone may use a government archive, and frequent users include reporters, genealogists, writers, historians, students, and people seeking information on the history of their home or region. Many government archives are open to the public and no appointment is required to visit. 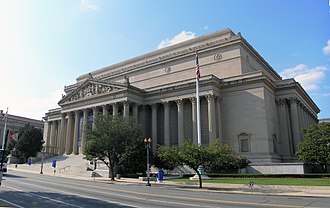 In the United States, National Archives and Records Administration (NARA) maintains central archival facilities in the District of Columbia and College Park, Maryland, with regional facilities distributed throughout the United States. Some city or local governments may have repositories, but their organization and accessibility varies widely. Similar to the library profession, certification requirements and education also varies widely, from state to state. Professional associations themselves encourage the need to professionalize. NARA offers the Certificate of Federal Records Management Training Program for professional development. The majority of state and local archives staff hold a bachelor's degree—increasingly repositories list advanced degrees (e.g. MA, MLS/MLIS, PhD) and certifications as a position requirement or preference. In the UK, the National Archives (formerly known as the Public Record Office) is the government archive for England and Wales. The English Heritage Archive is the public archive of English Heritage. The National Archives of Scotland, located in Edinburgh, serve that country while the Public Record Office of Northern Ireland in Belfast is the government archive for Northern Ireland. A network of county record offices and other local authority-run archives exists throughout England, Wales, and Scotland and holds many important collections, including local government, landed estates, church, and business records. Many archives have contributed catalogues to the national "Access to Archives" programme and online searching across collections is possible. In France, the French Archives Administration (Service interministériel des Archives de France) in the Ministry of Culture manages the National Archives (Archives nationales), which possess 406 km. (252 miles) of archives as of 2010[update] (the total length of occupied shelves put next to each other), with original records going as far back as A.D. 625, as well as the departmental archives (archives départementales), located in the préfectures of each of the 100 départements of France, which possess 2,297 km. (1,427 miles) of archives (as of 2010[update]), and also the local city archives, about 600 in total, which possess 456 km. (283,4 miles) of archives (as of 2010[update]). Put together, the total volume of archives under the supervision of the French Archives Administration is the largest in the world. In India, the National Archives (NAI) are located in New Delhi. In Taiwan, the National Archives Administration are located in Taipei. Most intergovernmental organisations keep their own historical archives. However, a number of European organisations, including the European Commission, choose to deposit their archives with the European University Institute in Florence. A prominent Church Archives is the Vatican Secret Archive. Archdioceses, dioceses, and parishes also have archives in the Roman Catholic and Anglican Churches. Very important are monastery archives, because of their antiquity, like the ones of Monte Cassino, Saint Gall, and Fulda. The records in these archives include manuscripts, papal records, local Church records, photographs, oral histories, audiovisual materials, and architectural drawings. Most Protestant denominations have archives as well, including the Presbyterian U.S.A Historical Society, The Moravian Church Archives, The Southern Baptist Historical Library and Archives, the United Methodist Archives and History Center of the United Methodist Church, and the Christian Church (Disciples of Christ). Non-profit archives include those in historical societies, not-for-profit businesses such as hospitals, and the repositories within foundations. Non-profit archives are typically set up with private funds from donors to preserve the papers and history of specific persons or places. Often these institutions rely on grant funding from the government as well as the private funds. Depending on the funds available, non-profit archives may be as small as the historical society in a rural town to as big as a state historical society that rivals a government archives. Users of this type of archive may vary as much as the institutions that hold them. Employees of non-profit archives may be professional archivists, para-professionals, or volunteers, as the education required for a position at a non-profit archive varies with the demands of the collection's user base. Web archiving is the process of collecting portions of the World Wide Web and ensuring the collection is preserved in an archive, such as an archive site, for future researchers, historians, and the public. Due to the massive size of the Web, web archivists typically employ web crawlers for automated collection. Similarly, software code and documentation can be archived on the web, as with the example of CPAN. Some archives defy categorization. There are tribal archives within the Native American nations in North America, and there are archives that exist within the papers of private individuals. Many museums keep archives in order to prove the provenance of their pieces. Any institution or persons wishing to keep their significant papers in an organized fashion that employs the most basic principles of archival science may have an archive. In the 2004 census of archivists taken in the United States, 2.7% of archivists were employed in institutions that defied categorization. This was a separate figure from the 1.3% that identified themselves as self-employed. Another type of archive is the Public Secrets project. This is an interactive testimonial, in which women incarcerated in the California State Prison System describe what happened to them. The archive's mission is to gather stories from women who want to express themselves, and want their stories heard. This collection includes transcripts and an audio recording of the women telling their stories. The archives of an individual may include letters, papers, photographs, computer files, scrapbooks, financial records, or diaries created or collected by the individual – regardless of media or format. The archives of an organization (such as a corporation or government) tend to contain other types of records, such as administrative files, business records, memos, official correspondence, and meeting minutes. The International Council on Archives (ICA) has developed a number of standards on archival description including the General International Standard Archival Description ISAD(G). ISAD(G) is meant to be used in conjunction with national standards or as a basis for nations to build their own standards. In the United States, ISAD(G) is implemented through Describing Archives: A Content Standard, popularly known as "DACS". In Canada, ISAD(G) is implemented through the Council of Archives as the Rules for Archival Description, also known as "RAD". ISO is currently working on standards. ^ "Glossary of Library and Internet Terms". University of South Dakota Library. Archived from the original on 2009-03-10. Retrieved 30 April 2007. ^ Galbraith, V.H. (1948). Studies in the Public Records. London. p. 3. ^ "A Glossary of Archival and Records Terminology". Society of American Archivists. Archived from the original on 15 June 2013. Retrieved 7 December 2012. ^ "Glossary of Archival and Records Terminology". Society of American Archivists. Archived from the original on 22 October 2013. Retrieved 21 October 2013. ^ "archive" The Oxford English Dictionary. 2nd ed. 1989. OED Online. Oxford University Press. ^ Murray, Stuart (2009). The Library: An Illustrated History. New York: Skyhorse Publishing. p. 7. ISBN 978-1-61608-453-0. ^ Michael T. Clanchy, From Memory to Written Record: England 1066-1307 (Blackwell, 1979). ^ "archive: Definition, Synonyms from". Answers.com. Archived from the original on 23 May 2010. Retrieved 1 June 2010. ^ "What Are Archives?". National Museum of American History. Archived from the original on 5 September 2014. Retrieved 2 September 2014. ^ Walch, Victoria Irons (2006). "Archival Census and Education Needs Survey in the United States: Part 1: Introduction" (PDF). The American Archivist. 69 (2): 294–309. Archived (PDF) from the original on 14 March 2007. Retrieved 30 April 2007. ^ Maher, William J. (1992). The Management of College and University Archives. Metuchen, New Jersey: Society of American Archivists and The Scarecrow Press. OCLC 25630256. ^ "Welcome to University Archives and Records Management". Kennesaw State University Archives. Archived from the original on 14 April 2007. Retrieved 8 May 2007. ^ "Guidelines for College and University Archives". Society of American Archivists. Archived from the original on 5 September 2014. Retrieved 2 September 2014. ^ a b Michelle Riggs, "The Correlation of Archival Education and Job Requirements Since the Advent of Encoded Archival Description," Journal of Archival Organization 3, no. 1 (January 2005): 61-79. (accessed 23 July 2014). ^ "So You Want to Be an Archivist: An Overview of the Archives Profession". Society of American Archivists. Archived from the original on 11 July 2014. Retrieved 23 July 2014. ^ "Business Archives Council". 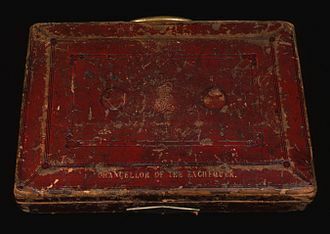 businessarchivescouncil.org.uk. Archived from the original on 6 June 2007. Retrieved 8 May 2007. ^ "Directory of Corporate Archives". hunterinformation.com. Archived from the original on 5 April 2007. Retrieved 8 May 2007. ^ "Business Archives in North America – Invest in your future: Understand your past". Society of American Archivists. Archived from the original on 1 October 2006. Retrieved 8 May 2007. ^ "Directions for Change". collectionscanada.ca. Archived from the original on 27 February 2007. Retrieved 27 October 2016. ^ "Cyndi's List - United States - U.S. State Level Records Repositories". Cyndi's List of Genealogy Sites on the Internet. Retrieved 2 September 2014. ^ Watkins, Christine. "Chapter Report: The Many Faces of Certification." American Libraries 29, no. 9 (October 1998): 11. (accessed 23 July 2014). ^ "FAQs About NARA's Certificate of Federal Records Management Training Program". Archived from the original on 15 July 2014. Retrieved 23 July 2014. ^ "Set 1: Employment, A*CENSUS Data Tabulated by State". Society of American Archivists. Archived from the original on 13 July 2014. Retrieved 23 July 2014. ^ (in French) Chiffres clés 2011. Statistiques de la Culture, Paris, La Documentation française, 2011. 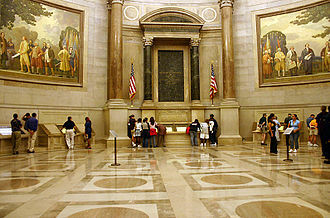 ^ "National Archives Administration". National Development Council of Taiwan. Archived from the original on 17 September 2008. ^ "About the Archives". European University Institute. Archived from the original on 6 July 2014. Retrieved 23 July 2014. ^ "Vatican Secret Archives". Archived from the original on 22 April 2011. Retrieved 2 April 2011. ^ "Presbyterian Historical Society". Archived from the original on 26 April 2011. Retrieved 31 March 2011. ^ "Moravian Archives". Archived from the original on 29 March 2015. ^ "Southern Baptist Historical Library and Archives". Archived from the original on 30 March 2011. Retrieved 31 March 2011. ^ "United Methodist Archives Center". Archived from the original on 28 August 2008. Retrieved 31 March 2011. ^ "Disciples of Christ Historical Society". Archived from the original on 25 July 2011. Retrieved 2 August 2011. ^ Creigh, Dorothy Weyer; Pizer, Laurence R. (1991). A Primer for Local Historical Societies (2nd ed.). American Association for State and Local History. 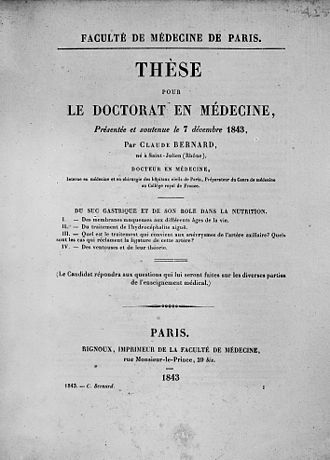 p. 122. ISBN 9780942063127. ^ Whitehill, Walter Muir (1962). "Introduction". Independent Historical Societies: An Enquiry into Their Research and Publication Functions and Their Financial Future. Boston, Massachusetts: The Boston Athenaeum. p. 311. ^ Walch, Victoria Irons (2006). "A*Census: A Closer Look". The American Archivist. 69 (2): 327–348. Archived from the original on 5 April 2007. Retrieved 8 May 2007. ^ "ICA Standards Page". Archived from the original on 24 August 2014. ^ "Describing Archives: A Content Standard". Society of American Archivists. Archived from the original on 14 July 2010. Retrieved 20 August 2010. ^ Rules for Archival Description. Bureau of Canadian Archivists. 1990. ISBN 978-0-9690797-3-6. Archived from the original on 16 May 2017. ^ International Organization for Standardization. "ISO/NP TS 21547-1 Health informatics – Secure archiving of electronic health records – Part 1: Principles and requirements". Archived from the original on 6 June 2011. Retrieved 19 July 2008. ^ International Organization for Standardization. "ISO/DIS 11506 Document management applications – Archiving of electronic data – Computer output microform (COM) / Computer output laser disc (COLD)". Archived from the original on 6 June 2011. Retrieved 19 July 2008. Look up archive in Wiktionary, the free dictionary. AIM25 – archives within the UK M25 area. Motorola was an American multinational telecommunications company founded on September 25,1928, based in Schaumburg, Illinois. After having lost $4.3 billion from 2007 to 2009, Motorola Solutions is generally considered to be the direct successor to Motorola, as the reorganization was structured with Motorola Mobility being spun off. Motorola Mobility was acquired by Lenovo in 2014, Motorola designed and sold wireless network equipment such as cellular transmission base stations and signal amplifiers. Its business and government customers consisted mainly of wireless voice and broadband systems and these businesses are now part of Motorola Solutions. Google sold Motorola Home to the Arris Group in December 2012 for US$2.35 billion, Motorolas wireless telephone handset division was a pioneer in cellular telephones. Also known as the Personal Communication Sector prior to 2004, it pioneered the mobile phone with DynaTAC and it had staged a resurgence by the mid-2000s with the RAZR, but lost market share in the second half of that decade. Later it focused on smartphones using Googles open-source Android mobile operating system, the first phone to use the newest version of Googles open source OS, Android 2.0, was released on November 2,2009 as the Motorola Droid. The handset division was spun off into the independent Motorola Mobility. On May 22,2012, Google CEO Larry Page announced that Google had closed on its deal to acquire Motorola Mobility. On January 29,2014, Page announced that pending closure of the deal, on October 30,2014, Lenovo finalized its purchase of Motorola Mobility from Google. Galvin Manufacturing Corporation set up shop in a section of a rented building. The company had $565 in working capital and five employees, the first weeks payroll was $63. The companys first products were battery-eliminators, devices that enabled battery-powered radios to operate on household electricity, due to advances in radio technology, battery-eliminators soon became obsolete. Paul Galvin learned that some radio technicians were installing sets in cars and his team was successful, and Galvin was able to demonstrate a working model of the radio at the June 1930 Radio Manufacturers Association convention in Atlantic City, New Jersey. The City of College Park is in Prince Georges County, Maryland. The population was 30,413 at the 2010 United States Census, College Parks United States Postal Service ZIP Codes are 20740,20741 and 20742. 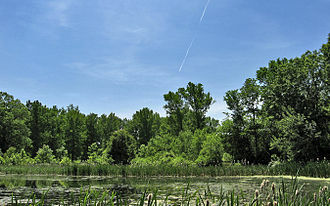 College Park was developed beginning in 1889 near the Maryland Agricultural College, the suburb was incorporated in 1945 and included the subdivisions of College Park, Berwyn, Oak Spring, Daniels Park, and Hollywood. The original College Park subdivision was first plotted in 1872 by Eugene Campbell, the area remained undeveloped and was re-platted in 1889 by John O. Johnson and Samuel Curriden, Washington real estate developers. The original 125-acre tract was divided into a pattern with long, narrow building lots. College Park developed rapidly, catering to those who were seeking to escape the crowded Washington, D. C. as well as to a rapidly expanding staff of college faculty and employees. 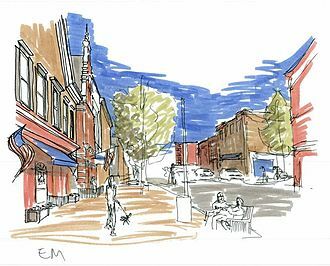 College Park originally included single-family residences constructed in the Shingle, Queen Anne, commercial development increased in the 1920s, aided by the increased automobile traffic and the growing campus along Baltimore Avenue / Route 1. By the late 1930s, most of the subdivision had been partially developed. Several fraternities and sororities from the University of Maryland built houses in the neighborhood, after World War II, construction consisted mostly of infill of ranch and split-level houses. 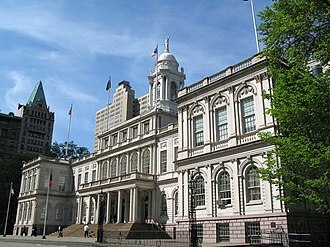 After incorporation in 1945, the city continued to grow and build a center in 1959. Lakeland was created by Edwin Newman, who improved the original 238 acres located to the west of the railroad and he built a number of the original homes, a small town hall, and a general store. The area was envisioned as a resort-type community. However, due to the flood-prone, low-lying topography, the neighborhood attracted a lower-income population became an area for African-American settlement, around 1900, the Baltimore Gold Fish Company built five artificial lakes in the area to spawn goldfish and rare species of fish. A one-room school was built in 1903 for the African-American population, the Berwyn neighborhood was developed beginning about 1885 adjacent to the Baltimore and Ohio Railroad. 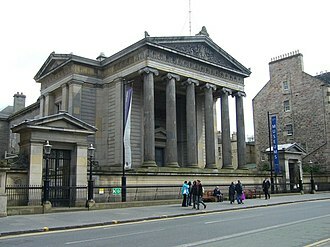 The National Archives of Scotland are the national archives of Scotland, based in Edinburgh. The NAS claims to have one of the most varied collection of archives in Europe and it is the main archive for sources of the history of Scotland as an independent state, her role in the British Isles and the links between Scotland and many other countries over the centuries. The Agency is responsible to the Scottish Minister for Europe, External Affairs and its antecedents date back to the 13th century. It is responsible for selecting and promoting and making available the national archives of Scotland and it has a role in records management more generally. 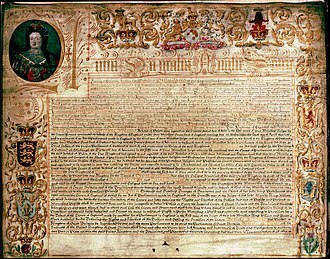 Access to the archives is open to members of the public, on 1 April 2011 it was merged with the General Register Office for Scotland to form National Records of Scotland. 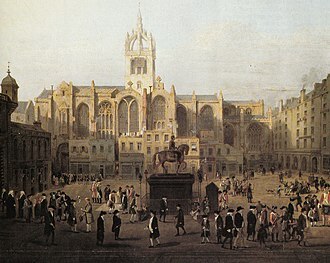 The early history of the archives of Scotland reflects Scotlands own troubled history. 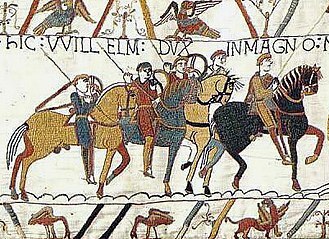 Many records were lost as a result of being out of the country first in the 13th century by Edward I during the Wars of Independence. As a result, the earliest surviving Scottish public record is the Quitclaim of Canterbury of 1189, the first reference to a government official responsible for looking after the records dates from 1286. William of Dumfries was a clerk of the rolls of the chapel or chancery. This office was to develop into that of Lord Clerk Register, the Treaty of Edinburgh-Northampton ended the first War of Independence in 1329 and provided for the return of the records to Scotland. But they remained in London, many disappeared, and when their remnants were sent back to Scotland in 1948, only about 200 documents remained. During the reign of Robert I, the Bruce, and with the settled nature of the country after the battle of Bannockburn in 1314. 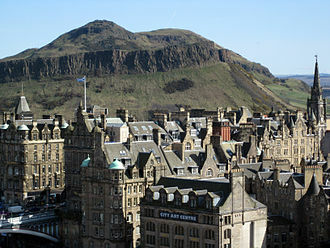 Records accumulated over the centuries and by the century it became necessary to build a special register house in Edinburgh Castle to house them. The archives remained safe in the Castle until its capture by Cromwells army in December 1650, the Scots were allowed to remove the archives and they were deposited in Stirling Castle. 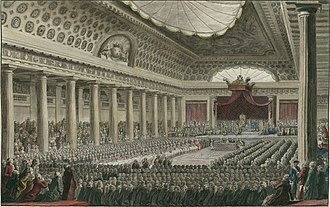 In 1800 the Archives Nationales became an autonomous body of the French state. Today, they contain about 406 km. of documents, a mass of documents growing every year. The original documents stored by the Archives Nationales range from AD625 to today, the Archives Nationales are under the authority of the French Archives Administration in the Ministry of Culture. The Archives of France manage the 100 departmental archives located in the préfectures of each of the 100 départements of France, as well as various other local archives. The Archives Nationales has been located since 1808 in a group of buildings comprising the Hôtel de Soubise and this centre stores all the documents and records from before 1958 as well as the archives of the French heads of state. Since 1867 it has housed the Musée de lHistoire de France. The Archives Nationales, however, do not keep the records of Paris. These were entirely destroyed by fires set by extremists at the end of the Paris Commune in 1871, the oldest document kept at the AN is a papyrus dated AD625 coming from the archives of the Basilica of St Denis seized at the time of the French Revolution. This papyrus is the confirmation of a grant of land in the city of Paris to the Abbey of Saint-Denis issued by King Chlothar II. This document is the oldest original one kept by the Archives Nationales, in total the Archives Nationales possess 47 original documents from the Merovingian period. It was inscribed on UNESCOs Memory of the World Programme Register in 2003 in recognition of its historical significance, the Centre for Contemporary Archives, founded as the Cité interministérielle des archives, opened in Fontainebleau in 1969. It is the repository for documents issued by the French central state since 1958 and it contains 193 km. of archives. The National Overseas Archives, originally the Centre for Overseas Archives, the ANOM possesses private and corporate archives related to the former French colonies and Algeria. In total the ANOM keeps 37 km. of archives from the 17th to the 20th century covering more than 40 currently independent countries spread over 5 continents. Note that the archives concerning Tunisia and Morocco, which were protectorates and not colonies, are kept by the Ministry of Foreign Affairs in its Diplomatic Archives. It serves as an original source of information about the topic. Similar definitions can be used in science, and other areas of scholarship. 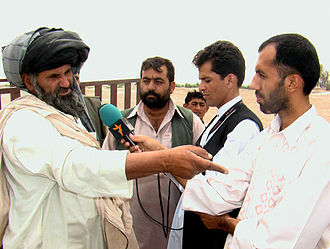 In journalism, a source can be a person with direct knowledge of a situation. Primary sources are distinguished from secondary sources, which cite, comment on, accounts written after the fact with the benefit of hindsight are secondary. A secondary source may be a primary source depending on how it is used and secondary should be understood as relative terms, with sources categorized according to specific historical contexts and what is being studied. In scholarly writing, an important objective of classifying sources is to determine their independence, sreedharan believes that primary sources have the most direct connection to the past and that they speak for themselves in ways that cannot be captured through the filter of secondary sources. 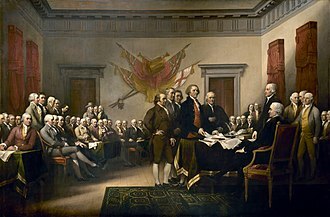 In scholarly writing, the objective of classifying sources is to determine the independence, though the terms primary source and secondary source originated in historiography as a way to trace the history of historical ideas, they have been applied to many other fields. For example, these ideas may be used to trace the history of theories, literary elements. In scientific literature, a source is the original publication of a scientists new data, results. In political history, primary sources are documents such as reports, pamphlets, posters, or letters by participants, official election returns. In religious history, the sources are religious texts and descriptions of religious ceremonies. 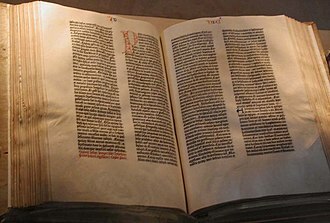 A study of history could include fictional sources such as novels or plays. In a broader sense primary sources include artifacts like photographs, coins, historians may take archaeological artifacts and oral reports and interviews into consideration. Written sources may be divided into three types, narrative sources or literary sources tell a story or message. 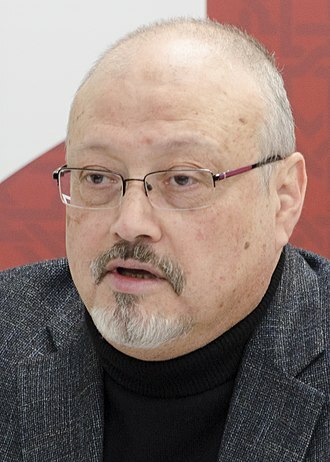 They are not limited to fictional sources but include diaries, biographies, leading philosophical works, diplomatic sources include charters and other legal documents which usually follow a set format. Social documents are created by organizations, such as registers of births. Coca-Cola is a carbonated soft drink produced by The Coca-Cola Company. The drinks name refers to two of its ingredients, which were kola nuts and coca leaves. The current formula of Coca-Cola remains a secret, although a variety of reported recipes. The Coca-Cola Company produces concentrate, which is sold to licensed Coca-Cola bottlers throughout the world. The bottlers, who hold exclusive territory contracts with the company, produce the product in cans and bottles from the concentrate, in combination with filtered water. A typical 12-US-fluid-ounce can contains 38 grams of sugar, the bottlers sell and merchandise Coca-Cola to retail stores and vending machines throughout the world. The Coca-Cola Company sells concentrate for soda fountains of major restaurants, the Coca-Cola Company has on occasion introduced other cola drinks under the Coke name. Based on Interbrands best global brand study of 2015, Coca-Cola was the third most valuable brand. 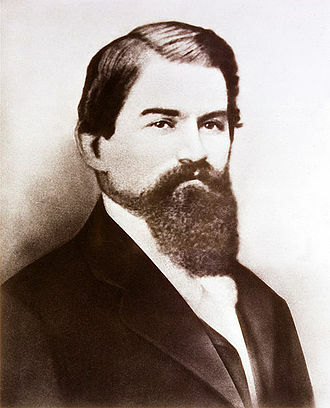 In 2013, Coke products were sold in over 200 countries worldwide, confederate Colonel John Pemberton, who was wounded in the American Civil War and became addicted to morphine, began a quest to find a substitute for the problematic drug. The prototype Coca-Cola recipe was formulated at Pembertons Eagle Drug and Chemical House and he may have been inspired by the formidable success of Vin Mariani, a French coca wine. It is worth noting that a Spanish drink called Kola Coca was presented at a contest in Philadelphia in 1885, the patent for this Spanish drink was bought by Coca-Cola in 1953. In 1885, Pemberton registered his French Wine Coca nerve tonic, in 1886, when Atlanta and Fulton County passed prohibition legislation, Pemberton responded by developing Coca-Cola, a nonalcoholic version of French Wine Coca. The first sales were at Jacobs Pharmacy in Atlanta, Pemberton claimed Coca-Cola cured many diseases, including morphine addiction, nerve disorders and impotence. Pemberton ran the first advertisement for the beverage on May 29 of the year in the Atlanta Journal. 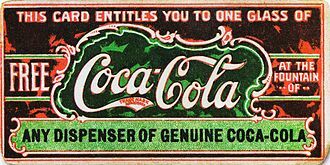 By 1888, three versions of Coca-Cola – sold by three separate businesses – were on the market, a co-partnership had been formed on January 14,1888 between Pemberton and four Atlanta businessmen, J. C.
Ebla, was one of the earliest kingdoms in Syria. Its remains constitute a tell located about 55 km southwest of Aleppo near the village of Mardikh, Ebla was an important center throughout the third millennium BC and in the first half of the second millennium BC. Karl Moore described the first Eblaite kingdom as the first recorded world power, starting as a small settlement in the early Bronze Age, Ebla developed into a trading empire and into an expansionist power that imposed its hegemony over much of northern and eastern Syria. Ebla was destroyed during the 23rd century BC, it was rebuilt and was mentioned in the records of the Third Dynasty of Ur. 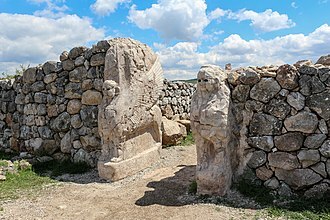 The second Ebla was a continuation of the first, ruled by a new royal dynasty and it was destroyed at the end of the third millennium BC, which paved the way for the Amorite tribes to settle in the city, forming the third Ebla. The third kingdom flourished as a center, it became a subject. Ebla maintained its prosperity through a vast trading network, artifacts from Sumer, Egypt and as far as Afghanistan were recovered from the citys palaces. The kingdom had its own language and the organization of Ebla had features different from the Sumerian model. Women enjoyed a status and the queen had major influence in the state. The pantheon of gods was mainly north Semitic and included deities exclusive to Ebla, the city was excavated starting in 1964, and became famous for the Ebla tablets, an archive of about 20,000 cuneiform tablets found there, dated to around 2350 BC. A possible meaning of the word Ebla is white rock, referring to the outcrop on which the city was built. 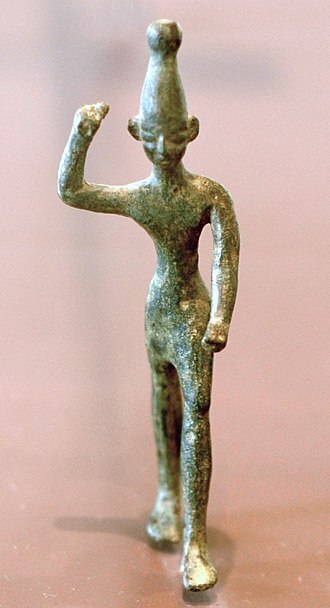 Ebla was first settled around 3500 BC, its growth was supported by many agricultural settlements. 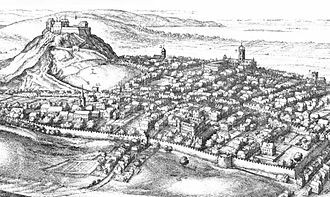 The city benefited from its role as an entrepôt of growing international trade, archaeologists designate this early habitation period Mardikh I, it ended around 3000 BC. Mardikh I is followed by the first and second kingdoms era between about 3000 and 2000 BC, designated Mardikh II. I. J. Gelb consider Ebla as part of the Kish civilization, the early period between 3000 and 2400 BC is designated Mardikh IIA. Remains of the ancient city, some walls and what appears to be a small well. The Tabularium, behind the corner columns of the Temple of Vespasian and Titus. An archivist surveying an unprocessed collection of materials. Surveying is commonly done to determine priorities for preservation and/or conservation of materials before an archivist begins arrangement and description.